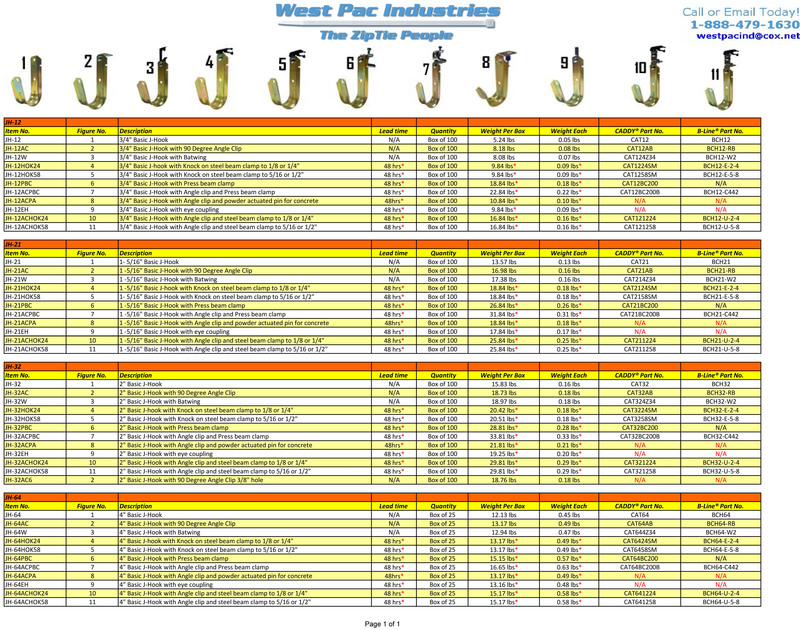 West Pac Industries provides customers nationwide with high-quality tie wraps and bulk VELCRO® hook and loops to meet your needs. We have a large selection of sizes, colors, and brands to accommodate your project, no matter the size. We believe in offering superior solutions at affordable prices. Our experienced and professional team is available to answer any of your concerns or inquiries about all of the products we offer. 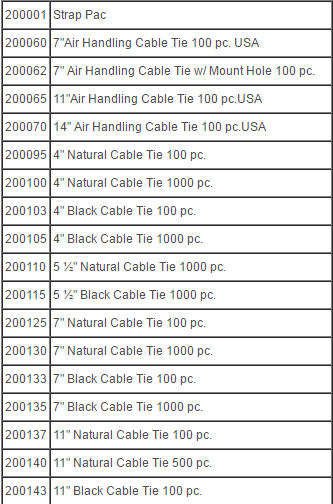 Zip and cable ties are indispensable in many industries. 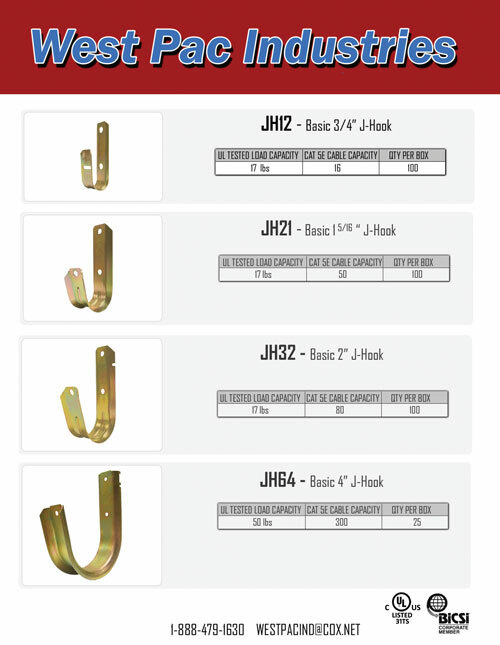 This means you need reliable and sustainable zip ties you can depend on, which is just what West Pac Industrial provides for you. Our wide selection of ties are available in a variety of sizes and colors for prices that won't break the bank. Our industrial strength Plenum Velcro® brand fasteners are proven to stand up to the demands of your job. 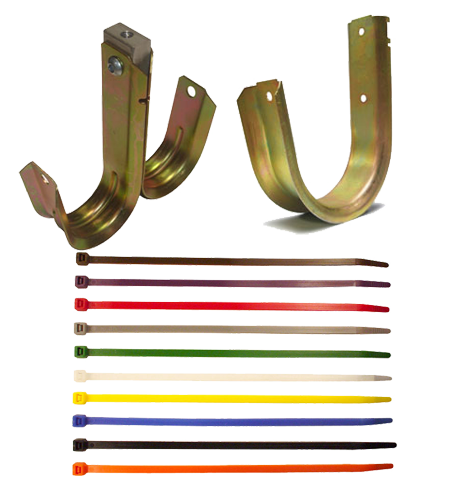 Easy and quick to use, these products provide a great, industrial-grade hold. 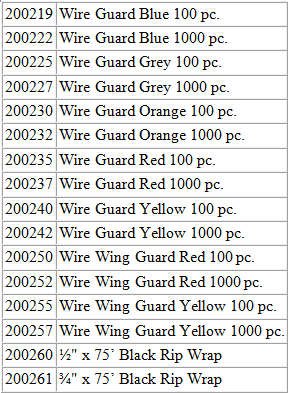 Available in a multitude of sizes, lengths, and colors, we can accommodate all of your Velcro brand fastener requests. 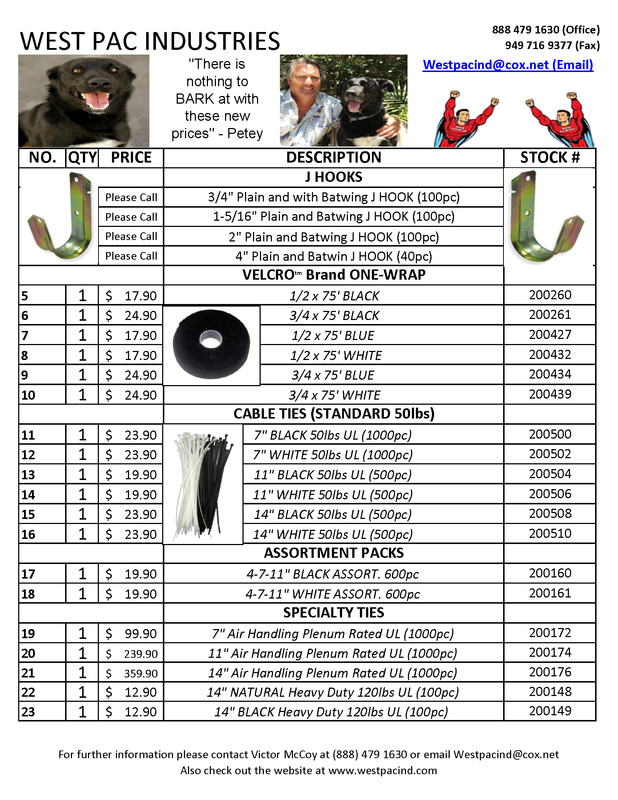 Below are lists of our products and order numbers to make your buying experience simple. If you have any questions, please don't hesitate to reach out to us.